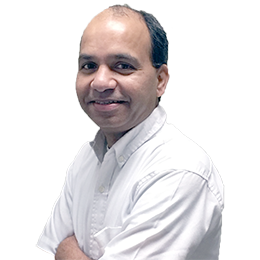 Chandra “Jeet” Desai is an IT professional with over 18 years of experience encompassing IT Program/Project Delivery, Solution Architecture and Enterprise Architecture. Jeet is currently a Sr. Manager of STA consulting division and a member of Technical Architecture team at a leading Auto, Home &amp; Life Insurance provider in Central Illinois. Along with current responsibilities, Jeet was instrumental in building “Safeland”, a flagship runway safety product from Aviation Safety technologies. Prior to joining STA, Jeet had significant contribution at Sprint corporation with the then industry leading Calling Card Fraud prevention system. Jeet received several “Sprint values Excellence” awards during his tenure. Jeet graduated with honors in M.S Computer Science from Oklahoma City University.